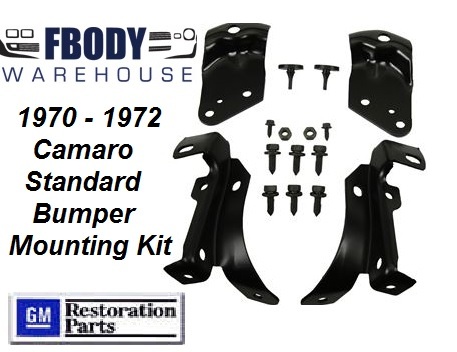 For use on 1970 1971 1972 1973 Camaro with Standard Nose (Full Bumper). OE quality. Original heavy gauge steel. Accurate fit and appearance reproduction front bumper bracket set. Use the drop down menu t select shipping location.